Fisheries managers have been applying tipping points concepts in their decision-making for years. From establishing catch limits via Maximum Sustainable Yield (MSY) and Optimum Yield (OY) to defining precautionary buffers, thresholds are commonly used at the individual stock level to inform crucial fisheries management decisions. However, the Ocean Tipping Points team has identified many more opportunities to characterize and utilize non-linearities and thresholds to incorporate social, cultural, and ecosystem level tipping points into these decisions. 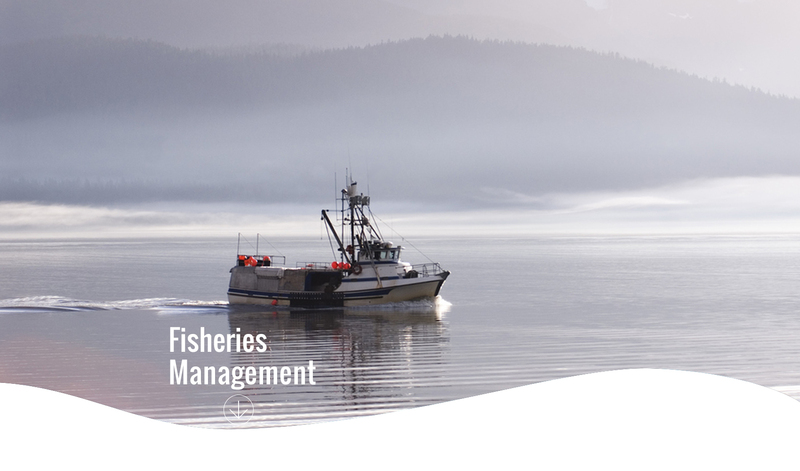 Here you’ll find resources and guidance to help you integrate tipping points science into your own decision-making to help improve your fisheries management. Why should we care about tipping points in fisheries management? Stories of fisheries stock collapses and ecosystem regime shifts have become common around the world. From the collapse of cod in New England1,2, to the loss of coral reefs due to overfishing in the Caribbean3, to the sequential collapse of fisheries in the Black Sea4,5, these stories have become major themes in the global fisheries management narrative. Many of these systems have shifted into alternative states that make it difficult to recover or restore stocks to desired levels. Indeed, globally nearly 30% of all fisheries are collapsed or overfished6. This results in negative impacts on human communities around the globe, and is estimated to cost $50 billion a year—a loss of $2 trillion over the last 30 years7,8. In all of these cases, significant stock or ecosystem-level tipping points were crossed. Science that directly addresses these tipping points can provide managers with the knowledge necessary not only to anticipate or avoid future ecosystem shifts, but also to help recover stocks and ecosystems that have already crossed critical thresholds. Management strategies that include identifying tipping points and integrating them into management targets have been shown to be more effective in achieving management goals than strategies that do not consider potential tipping points9. Since passage of the Magnuson Stevens Act in 1976, US fisheries managers have been using ecological thresholds and precautionary buffers to inform Maximum Sustainable Yield (MSY) and Optimum Yield (OY) target setting. MSY is also a common fisheries management objective across the globe. It is clear that fisheries managers are already thinking about non-linearities and thresholds at the individual stock level, but there is more that can be done to incorporate our knowledge of social and ecological tipping points into these decisions. Many U.S. federal fisheries management decisions, such as the creation of fishery management plans and implementation of regulations, require environmental impact assessments and thus trigger action under the National Environmental Policy Act (NEPA). NEPA actions provide an opportunity to easily incorporate tipping points science into specific process-based requirements to improve management success. Please refer to our National Environmental Policy Act (NEPA) document and our Canadian Environmental Assessment Act (CESA) document, which explore the development and implementation of environmental and cumulative impact analyses under NEPA and CESA identifying ocean tipping point science “integration points” along the way. Find more information on integrating tipping points concepts into your own fisheries management under the Magnuson-Stevens Act. For more information on how to apply tipping points science to your own management decision-making visit our Ocean Tipping Points Guide. If you are looking to dive deeper into detailed analysis tools that may be useful to you to help improve your own fisheries management see our table of scientific analysis tools. In Haida Gwaii, British Columbia the Ocean Tipping Points team has been working with local managers to understand the tipping points dynamics at play in the coupled human-natural system centered on Pacific Herring. Here we have been using a tipping points perspective to integrate cultural values and the sociocultural and ecological tradeoffs associated with fisheries management decisions, such as harvest cutoff rules and catch allocation, into the assessment process. Ocean Tipping Points researchers and fisheries managers on Haida Gwaii co-developed models to show how different herring fishing methods (i.e. commercial catch of adult herring versus traditional harvest of herring eggs on kelp), changing climate, and fluctuating population dynamics can have dramatically different impacts on the herring population10. The changes in herring populations were then translated into risk of fisheries’ closures and impacts on seabird populations, and a trade-off analysis was developed to examine the outcomes of potential fisheries decisions. You can interact with a herring decision tool and investigate how changes in one or multiple characteristics of the herring system can impact overall herring population dynamics over time. Frank, K. T., B. Petrie, J. S. Choi, and W. C. Leggett. 2005. Trophic cascades in a formerly cod-dominated ecosystem. Science 308:1621–1623. Frank, K. T., B. Petrie, J. A. D. Fisher, and W. C. Leggett. 2011. Transient dynamics of an altered large marine ecosystem. Nature 477:86–U98. Daskalov, G.M., Grishin, A.N., Rodianov, S., Mihneva, V., 2007. Trophic cascades triggered by overfishing reveal possible mechanisms of ecosystem regime shifts. Proceedings of the National Academy of the United States of America 104, 10518e10523. World Bank. 2009. The Sunken Billions: The Economic Justification for Fisheries Reform.